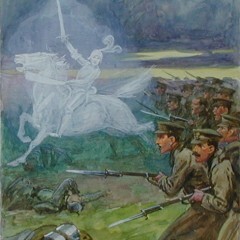 The angels who were said to have protected British troops in one of the first major battles of the First World War will be the inspiration for children taking part in a workshop at York Castle Museum on Saturday 23 August. 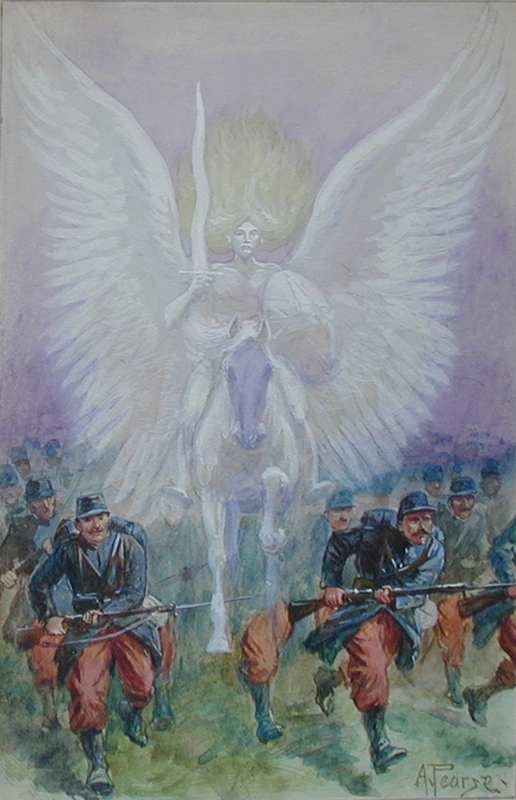 Works from York Art Gallery depicting the famous Angels of Mons will be on show at the event, one hundred years to the day since the battle of the same name. 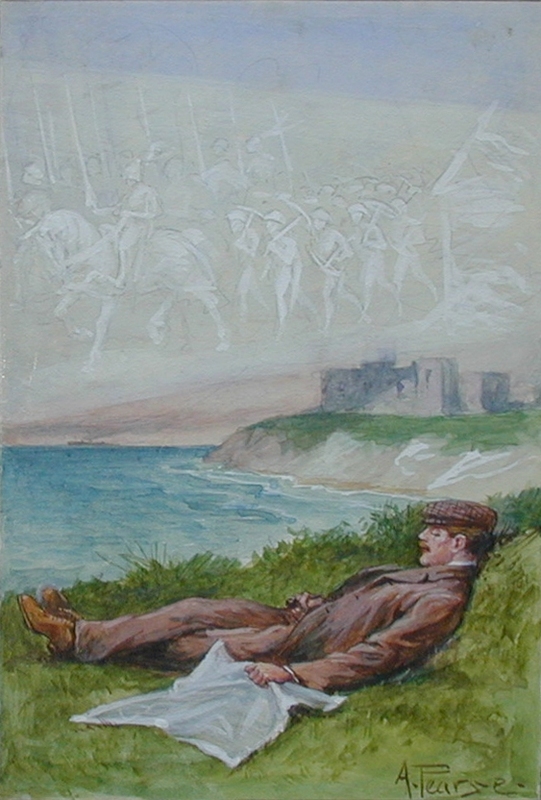 Artist Jo Walton will help children create their own watercolour paying homage to the men involved and the myth for which the battle is now famous. The event is part of the Arts Award Discover summer challenge, in association with York Minster and York Explore Libraries. The drop in session is taking place from 11am-4pm and is included in the admission price to the museum, which is FREE to York Card holders. 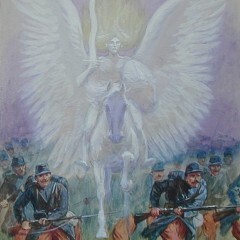 The works on show are by Alfred Pearse (1856-1933) and will include The Dazzling Light, Spirit of War and St George. The Arts Award Discover challenge is open to children aged between five and nine. A short story entitled The Bowmen by Arthur Machen was published in the London Evening News in September 1914. It was written as if it was a genuine news article and described how the ghosts of fallen archers from the Battle of Agincourt (which took place France in 1415) appeared to protect British soldiers during the Battle of Mons. 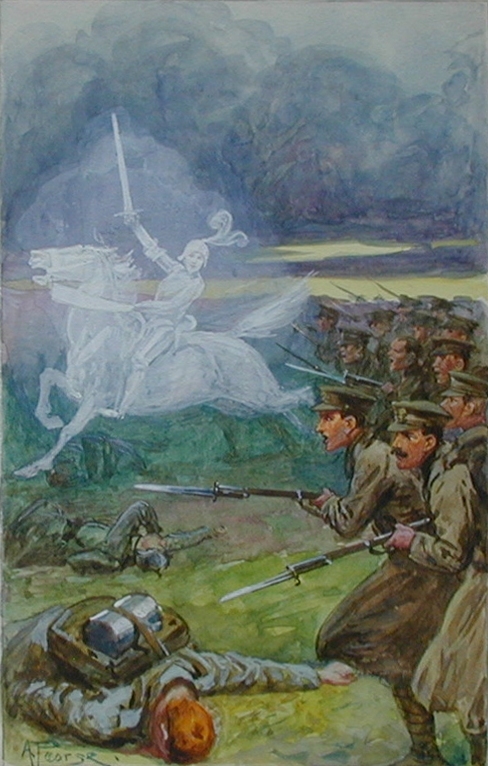 In the months following the publication of Machen’s story, papers and occult magazines began to publish first hand accounts of soldiers who claimed to have seen apparitions on the battlefield. Like all urban myths, the more the story was told the more it was believed. 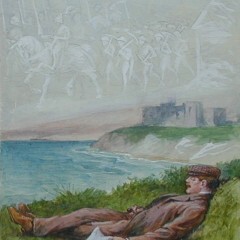 Gradually, tales claiming to pre-date the publication of The Bowmen began to emerge. 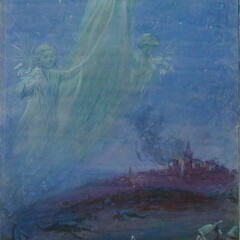 It was said that angels and ghosts had also lent their support to Britain’s allies. A curious postscript to the story came in 1930. Colonel Friedrich Herzenwirth, who claimed to be a former member of the Imperial German Intelligence Service, explained the whole phenomenon to a paper in New York. He declared that the Germans had projected motion picture images onto the fog above the battlefield. 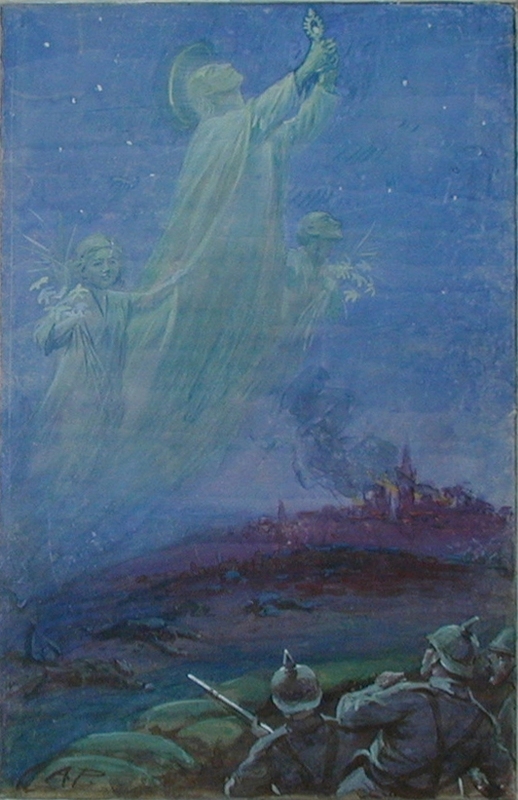 These ‘visions’ were meant to produce panic amongst the British troops.